Disk Conversions & Transfer - ZIP disks - Hackney, London. One of 6 ZIP disks received here to recover the data from. The disk outer covers have been removed to expose the magnetic disk inside. The disks had been stored for years in poor condition and the reading surfaces had become contaminated. When inserted into a zip drive the disk was unreadable. We removed the data surfaces for specialised cleaning in order to save the data to usb for returning to the customer. If you need a Recover Data from Unreadable ZIP disks service, then contact our friendly company. One of 6 ZIP disks received here to recover the data from. The disk outer covers have been removed to expose the magnetic disk inside. 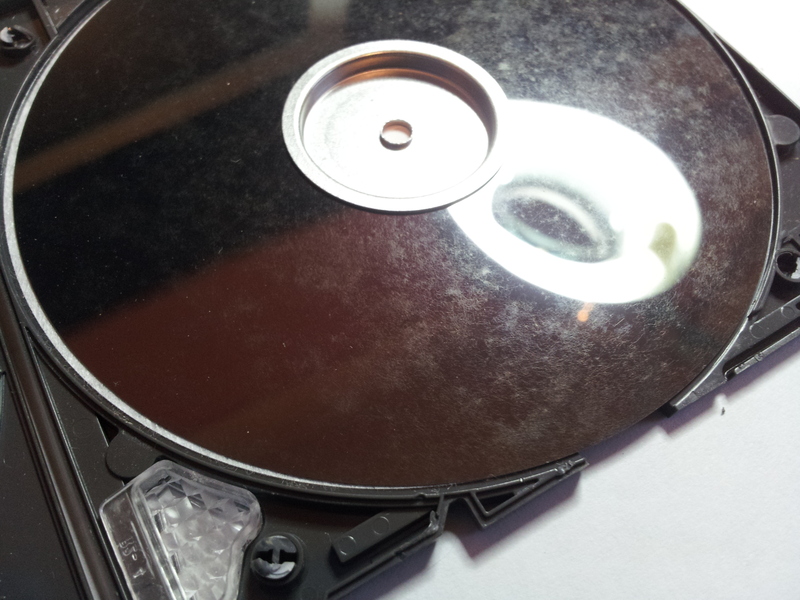 The disks had been stored for years in poor condition and the reading surfaces had become contaminated. When inserted into a zip drive the disk was unreadable. We removed the data surfaces for specialised cleaning in order to save the data to usb for returning to the customer. .